Another digital format has just upstaged its physical counterpart in US sales revenues. Amazon and Netflix did it to the DVD. Now iTunes and its colleagues have done it to the CD. To someone looking from the outside in, the numbers reported by the Recording Industry Association of America (RIAA) wouldn’t seem just cause for celebration. Year-on-year numbers have been stagnant — consumers spent $3.2 billion on music in the first half of 2015, about exactly how much was spent in the same window last year. Flatlined numbers generally give sales teams cardiac issues, but not in the music industry. Earnings in the music industry hit a snag during the tumultuous transition from physical to digital formats in the past decade. CDs remained the primary income source for most labels well into the latter half of the new millennium. Digital music offered convenience and variety, but was consigned to being the format of choice for mostly the technologically savvy and the early adopters. However, around 2008, CD sales began to fall. 10.5 million consumers were turned off CDs between 2008 and 2013. The shift was a consequence of digital music beginning to find its feet, egged on primarily by iTunes emerging on the scene as a reliable avenue for legally-sourced content. It was only in 2014 that digital music sales finally displaced CDs as the globally preferred format for music consumers. Even then the difference was so little ($6.85 billion and $6.82 billion), that it was hard to decide if the CD deserved props for still being relevant 30 years or if digital music should be celebrated for overtaking the legacy format just 15 years into its existence. Research revealed that while digital was doing better overall, there were large markets where the CD still brought in the lion’s share of earnings. In Japan, for example, physical copy sales accounted for a whopping 78% of the total in 2014. Alas, any eulogies written for the CD would have been rather presumptive at that point. That brings us to the present. There are even more interesting trends reported by the RIAA than just digital finally outselling physical formats in the United States. Though the cumulative sales numbers have almost gone unchanged between 2014 and 2015, there’s been a significant increase in the contribution made by streaming services to the revenue pie. Streaming, which includes subscription and on-demand platforms, had made $1,028 million by midyear 2015, compared to the $834 million it did during the same period in 2014. Permanent downloads, on the other hand, took a hit, falling from $1.32 billion in 2014 to $1.27 billion in 2015. The numbers show a trend not just towards not owning music in hard copy, but not owning music at all. This jibes with the larger climate of technological advancement towards a future where less and less data will be held locally on devices. This of course means bright projections for services like Spotify, which now competes with giants like Apple and Google for returns in the increasingly lucrative music streaming business. Apple’s entry into the space with Apple Music has been well-timed, given what the numbers show. That said, iTunes will continue being an important property, given that permanent downloads still rake in over $1 billion annually. Although the current pace of revenue growth for streaming music would suggest that it will surpass digital download sales by this time next year, saying that CDs or downloads are dead is premature. It will be a long time before the funeral cars line up. For now, everyone’s winning — except the people actually making the music. It took a celebrity with as much clout (and Klout) as Taylor Swift to shine a light on the plight of music makers in the digital age of music for anyone to remember there was a problem. Her issue was with Apple Music expecting three months’ worth of free work from artists on the platform. Just about a year back, Spotify used to pay musicians an embarrassing $0.00521 per stream. 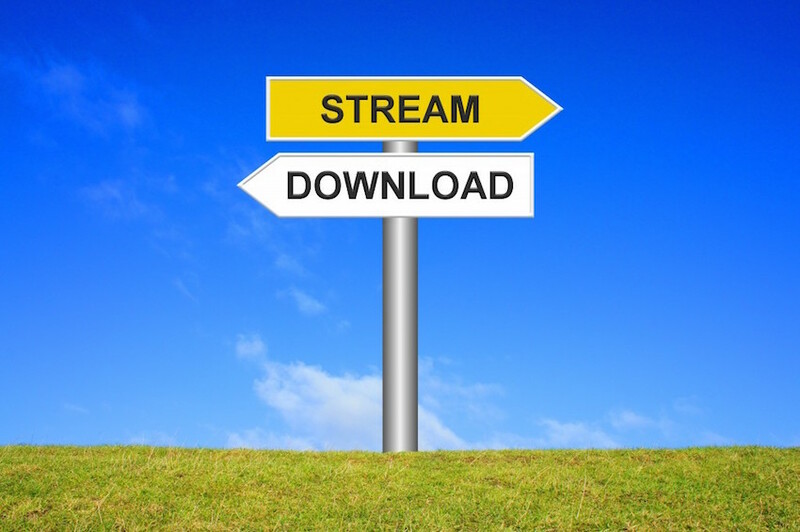 In order to equal what they’d earn from a single download, artists would need to have their songs streamed 134 times. Taylor Swift stands to make a few millions each year using streaming, whether that is over Spotify or Apple Music or tin can telephones. For smaller artists, however, music in the digital age is still a much-valued fulltime passion but a risky fulltime job. Music CD’s are way too old school. I guess it would be compared to that one guy that is picking up vinyl records at a flea market because “one day, these will be worth….”, but can you say the same about a CD? I don’t think so. People want music now and they want it wherever they are and that is why streaming is a huge innovation. The thing with streaming services is that there are a lot of them. That means you have to change things up all the time in order to keep your users loyal to your system. If not, they are going to move on or away altogether. Well, this was only a matter of time. When are we ever going to walk into a big box retailer and NOT see CD’s for sale?